The best way build and understanding of something is to work with it for a long while. Being involved in an access dispute for the last three years has been an eye opener. That doesn’t make me an attorney, but here’s the way it looks to my unprofessional eye. Until the gate on one of our access routes was locked, we believed we had a right of access. However, there’s a big difference between believing in access rights and documenting them. When we realized that the owner of the property under our access road disputed our rights, we learned that their reasoning was that they had given us permission to pass and by doing so they had eliminated any rights we had to an easement by use. Our response to their claim was that previous owners of our property (in easement terms called the dominant tenement), had established access rights five years before the current owners of the property providing the access had purchased the property (in easement terms called the servient tenement) beneath our right-of-way easement. Therefore the current owners could not have given us permission until well after our easement was established. As with most disputes, we will negotiate an agreement somewhere in the middle ground, but we will have documented access rights. The lesson is that you may not want permission to use a road. Permission can get you in trouble, because it is revocable. And, if somebody uses a road across your property, one of the simplest solutions may be to give them qualified permission. If they accept your offer of permission, they have severely damaged any case they may have for a legal right. Access is one of the most critical issues related to ranch ownership and the laws are complex. Get sound advise from a good attorney. 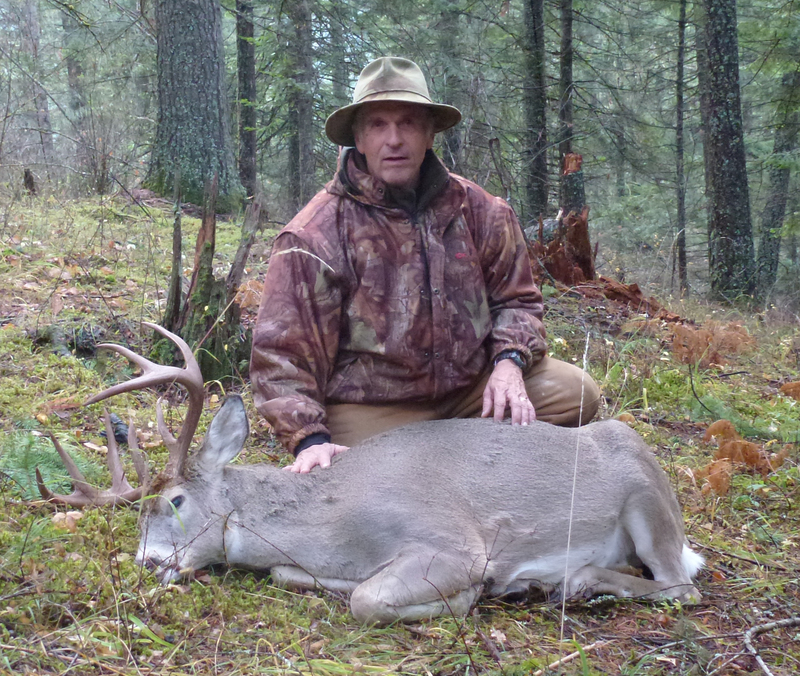 Last November, Monty posed with my whitetail. 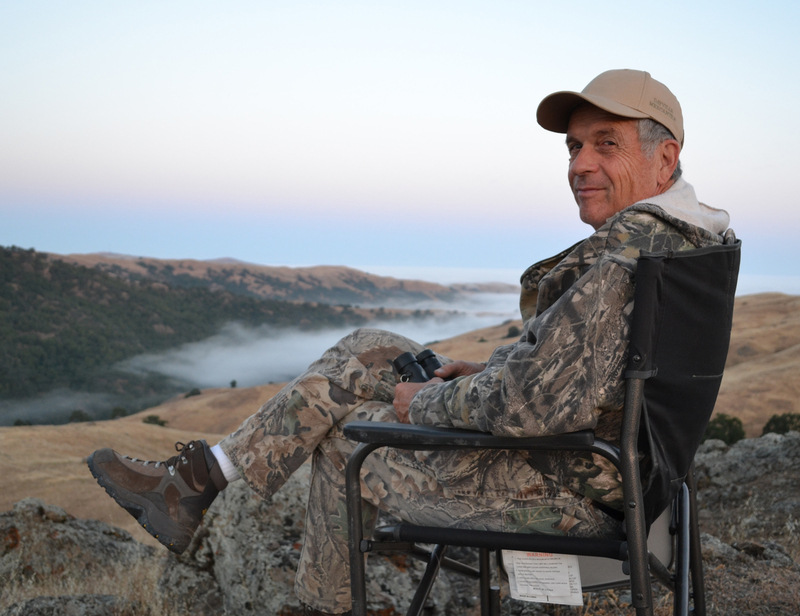 After that, hunt, we began to plan a California trip to hunt wild pigs together. 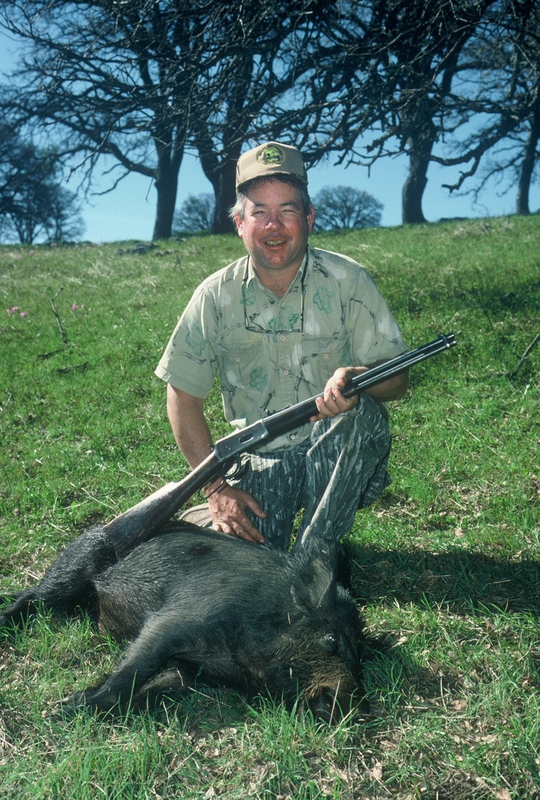 I looked around for an affordable pig hunt, but the only one I could find was on our ranch – free. With few pigs around, the hunt would be “a shot in the dark,” but we do kill a few pigs when they happen to show. 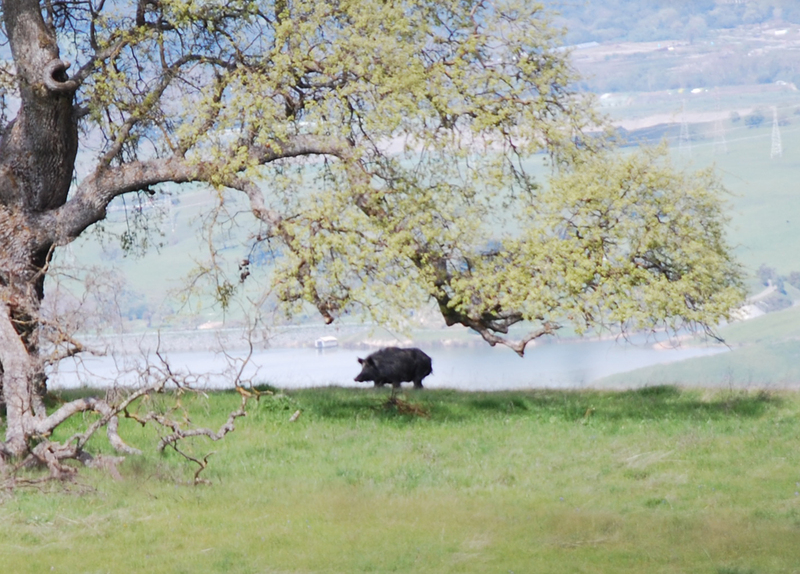 Just to prove it, here are some pig photos from the ranch, or near by. 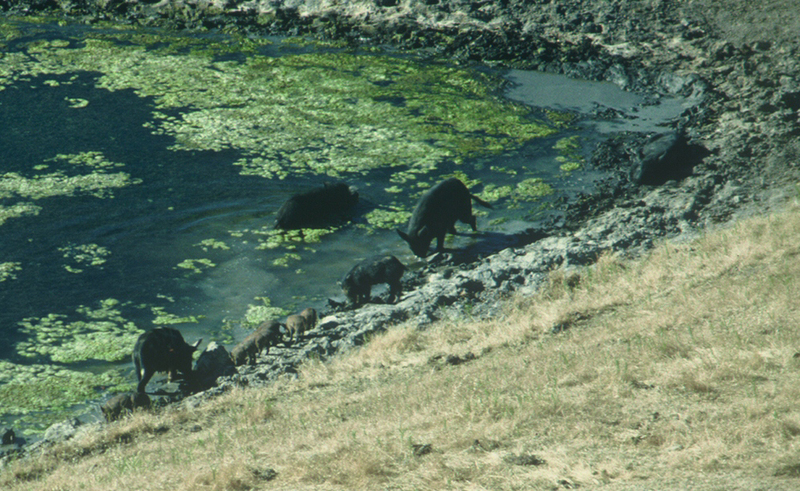 Here is one of our ponds that pigs like. 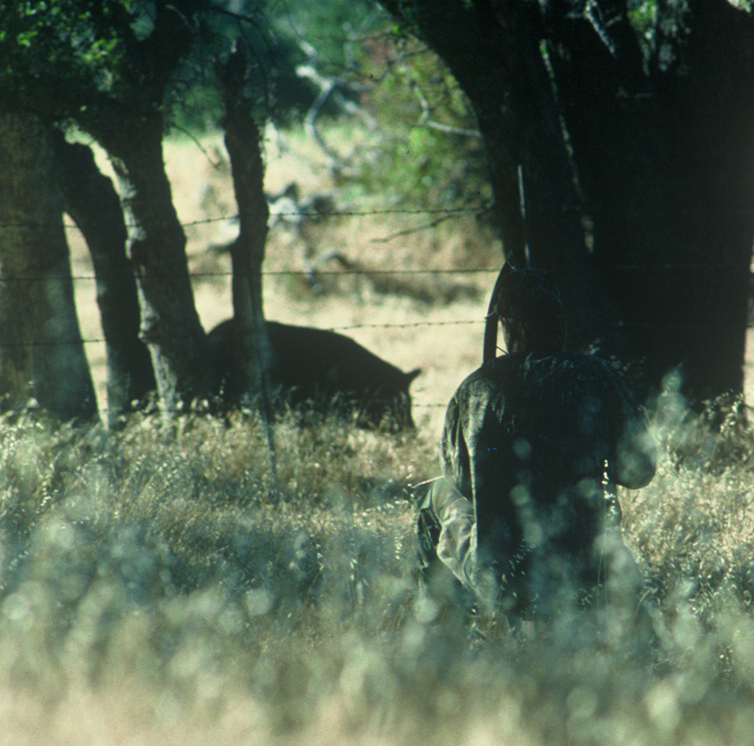 I took this photo of Joe stalking a pig about 15 years ago. He arrowed the pig from about 30 yards. Snapped this photo from the road on the way home one day. 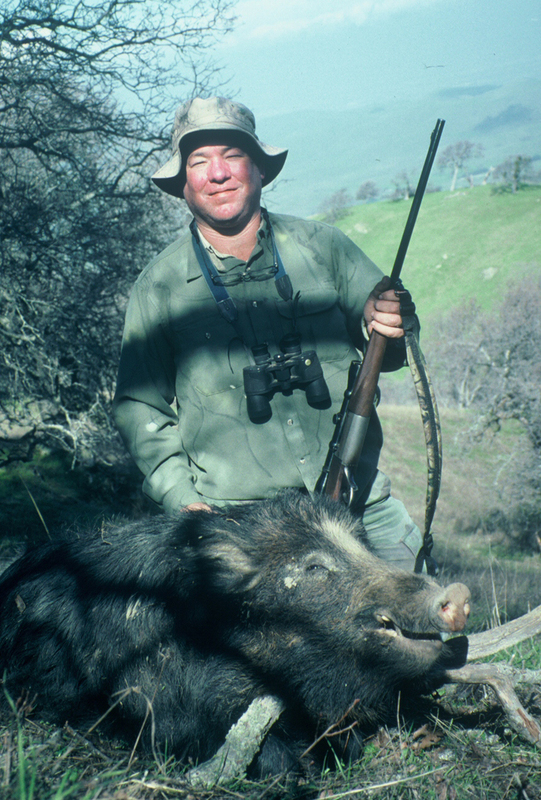 Rob shot a nice boar during winter one year when we couldn’t get up the road in a vehicle. Rob sneaked up on the sleeping boar and killed it from about 40 yards in it’s bed using dad’s .300 Savage. On another occasion we were eating sandwiches when three pigs ran past us. Rob managed to drop one of them with grandma’s old 30-30 carbine. Neither Rob nor I have killed a ranch pig for quite a while, but our guests have. Naturally I told Monty about the pigs we have killed, but I added that I haven’t seen many this year. We figured that our best chance of locating pigs would be to check the 20+ ponds on our ranch and search for tracks. This we did with a vengeance, but we found tracks at only two ponds and they were at least a few days old. Our next strategy was to set up overlooking a broad expanse of grassland where we would have a chance of spotting pigs from afar. We got comfortable and waited them out, but no pigs appeared. We did see a dozen bucks and most of them would be legal come August. One of them was the largest buck I’ve seen in years. 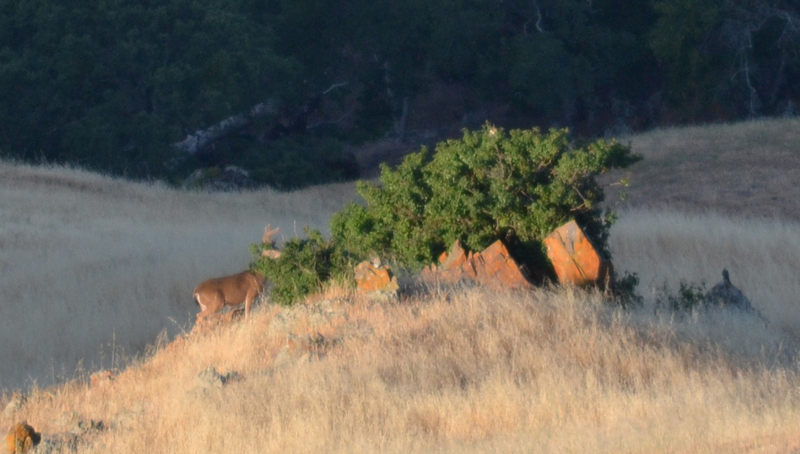 Here’s a young buck that we watched while looking for pigs. 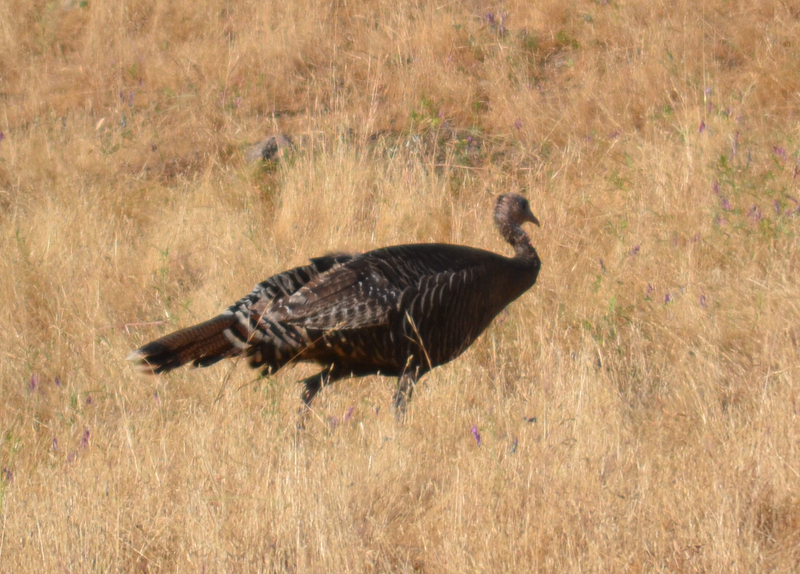 We saw quite a few hen turkeys and even some young poults that were a little larger than adult quail. Didn’t get a decent photo of the poults. 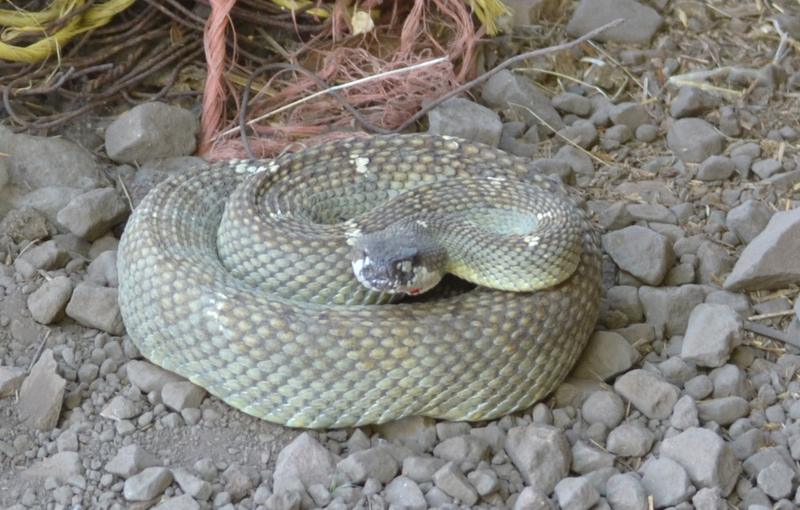 We did come across one four foot rattlesnake. So, after three days of pig hunting, I sent Monty back to Idaho with a guarantee that we would try again. But for this trip, all he got was a very extensive ranch tour. He was much more successful as a whitetail guide than I was as a pig guide.